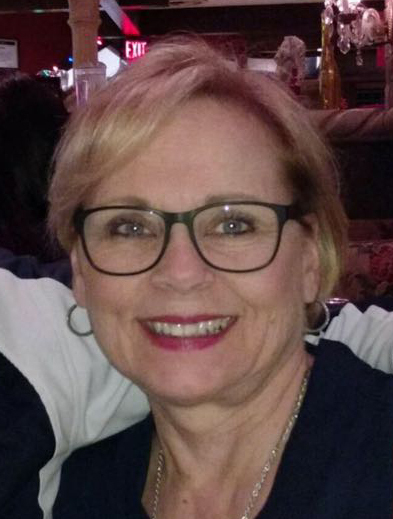 Suzanne Schroeder, 66, passed away at home in Phoenix, Arizona on February 4, 2019 surrounded by her family. Suzanne was born in Cleveland, Ohio on February 10, 1952 to Donald and Dorothy (Rawlins) Faix. She was the second of seven children and the eldest of five daughters. Suzanne was raised in Cleveland and graduated from Holy Name High School. She met her husband of 45 years, Laurence Lee Schroeder through her co-worker and father-in-law-to-be, Charles Schroeder, when she was 21. Suzanne and Laurence married soon after on April 27, 1974. They welcomed three sons, Laurence, Sloan and Jonathan. Suzanne and her family lived in many different states across the continent including Illinois, Michigan, North Carolina, New Jersey, Massachusetts, Virginia due to Laurence’s job transfers. Suzanne and Larry finally settled in Phoenix, Arizona in October of 2011. Suzanne held numerous jobs while raising their sons. Among these were aerobics instructor, school bus driver, phone book delivery person, caterer, bartender and telephone switchboard operator. Once her sons were old enough, Suzanne followed in her mother’s footsteps and stepped into the pursuit of her dream of becoming a nurse. She began nursing school at Jackson Community College, and graduated as a registered nurse at 40 years of age, at the same time that her eldest son was graduating from high school. Suzanne spent several years as a home care nurse. She also was a critical care nurse at Foote Hospital (now known as Henry Ford Allegiance Health) in Jackson, Michigan and was part of the specialized PICC (peripherally inserted central catheter) team at Virginia Commonwealth University Health in Richmond, Virginia. With her diverse work experiences, ability to adapt, and to work with anyone, she began her work in Arizona at the Mayo Clinic as a float nurse, supporting nearly every area in the hospital. Suzanne was well regarded and highly respected by her colleagues at Mayo as well as by her patients, and for the last three years she worked exclusively in Mayo’s Orthopedic Surgery Department. Among her extended family and large group of friends and colleagues, Suzanne has always been known as the most positive person. The definition of “cup half-full,” Suzanne saw the good in everything and brought out the best in everyone. The permanent big smile on her face could lift anyone’s spirits. Suzanne’s gift to make everyone feel good will be very missed. Suzanne is survived by her husband, her sons and her daughters-in-law, Lily, Kristin and Simona, her beloved granddaughters, Rhona and Sienna, her four sisters and their husbands Charlotte and Don Wilson, Donna and Larry Price, Madeline and Robert Barger, Patty and Matt Howard, brother, Michael and his wife, Debbie, plus an extended group of nieces, nephews, cousins and countless friends across the United States, and her irrepressible dog, Brutus. She was preceded in death by her parents and her elder brother, Richard Faix. Her life will be celebrated in private at home. Sending our sympathy and prayers to the whole family during this difficult time and the days ahead. I was so sorry to hear of her passing. I knew her only a short time at Mayo and was impressed with her love of life’s challenges. God bless her, she is missed! This was a wonderful tribute. Sending our deepest sympathy to All of you. Wish I could be there to give you all a big hug.! Suzanne will surely be missed. She is always ready to help any of us at work. Very polite and gracious. We missed her. She will always be a part of orthopedics family at Mayo Clinic. To infinity and beyond Suzanne!!! Larry and family. My deepest sympathies to you at this most sorrowful time. I have been keeping you in my thoughts and prayers all week. Larry, Heartfelt condolences to you and your family on this tragedy. Please take care of your family and God bless ! My deepest condolences to the family.May God give you all the strength to bear the loss. I am so sorry for your loss. You and your family will be in my thought and prayers during this difficult time. Larry, I’m so sorry to have learned of this through our IBM family. Please know that I’m praying for peace over your family during this grieving season. Hello Larry, sad news we received. I know you are going to be strong enough to overcome anything. Wishing you the best. Your last quarter colleague, Santi. Sending our heartfelt condolences to you and your family. Suzie was beautiful inside and out and will be missed by all who knew her. Prayers for peace and comfort during this most difficult time. Larry, Your wife sounds like she was truly an amazing woman. I am very sorry for your loss. You and your family are in my thoughts and prayers. Larry (Shrode), Larry Jr., Sloan, Johnathan and all of Sues beloved family: Our hearts our breaking for all of you during this difficult time. We were fortunate to be able to spend time with many of you when you came to our little ole town of Erie, IL whether it be Thanksgiving/Christmas Holidays or just a family visit to Patty, Matt, and the girls. We always thought of your family as one of our own and had a good time together. Sue will be deeply missed, and from one big family to another we want to extend our thoughts, prayers, hugs, and most of all our love. God Bless, Gram Sally, Deb, Rick and family, Mike, Deb, and family, Mark and family, Mary, Andy and family, Marty, Jenny and family, Mona, Lou and boys (fur babies). Larry I am so sorry to hear of the passing of your wife. Please know you and your family are in my prayers. Take care of yourself. I was so saddened to learn of Suzanne’s passing. You all have been in my thoughts since finding out about her illness. I so admired her for going back to school when the boys were teens! I knew she would be a terrific nurse and she was! Hope all the happy memories bring you strength! I am so sorry for your loss. My your family find peace in knowing that she is in a better place. Your family is in our thoughts and prayers during this difficult time. Sending you our deepest condolences. So sorry the world has lost such a beautiful soul but Heaven will be the perfect place for such a beautiful lady. The loved ones she once had to say goodbye to will be waiting with open arms. She will rest in peace knowing how much she was loved by her beautiful family. Larry, heartfelt condolences, you and your family will continue to be in my thoughts and prayers. I am very sorry for your loss. You and your family will be in my prayers. May God give you strength in such difficult times. Larry, I am so very sorry for your loss. The tribute above describes a wonderful lady. No doubt you have many wonderful memories. I hope they bring you strength and comfort during this difficult time. I am sorry for your loss. Praying for strength to face the days ahead. Sorry for your loss Larry. May her soul rest in peace. Keeping her in our prayers. Larry, I am so sorry for your loss. What a wonderful tribute to Suzanne’s life. My thoughts and prayers will be with you and your family through these difficult time.